There was no need to walk a long distance or climb many stairs at the start and at the end of the activity. The guide was experienced and helpful. Lunch was located at a scenic rice field. The food was and view was good. It was an enjoyable experience altogether. Would go back to try it again. 3rd time whitewater rafting absolutely loved it as usual. Was so happy not to have to walk up millions of stairs like the other ones. Good job guys. 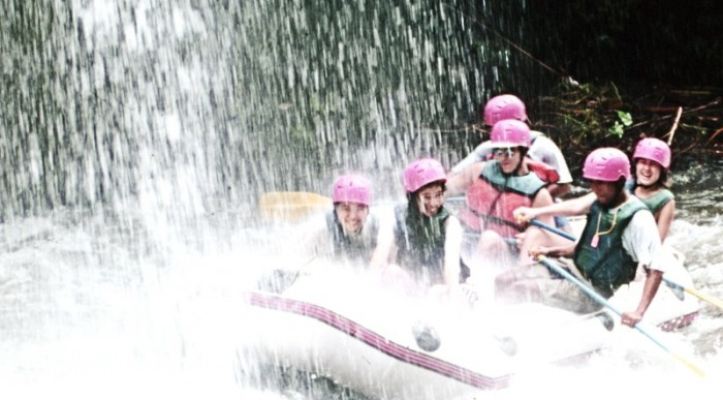 The rafting was very enjoyale and you are so nice. 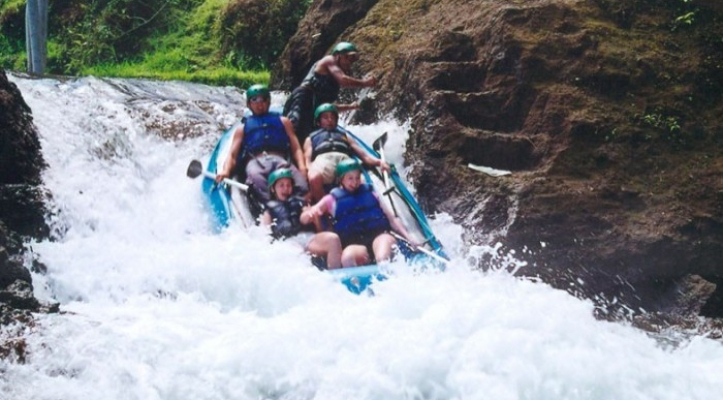 I'd like to recommand your rafting to other people. Beautiful view of the beautiful jungley trees and nature of Bali. The lunch at the end was delicious (I am vegetarian and they had corn fritters and chop chay so I was happy). There is a small, sorta crowded place to rinse off. They gave us a fresh towel to share - which was plenty. They do a good job staggering the eaters and the showerers. 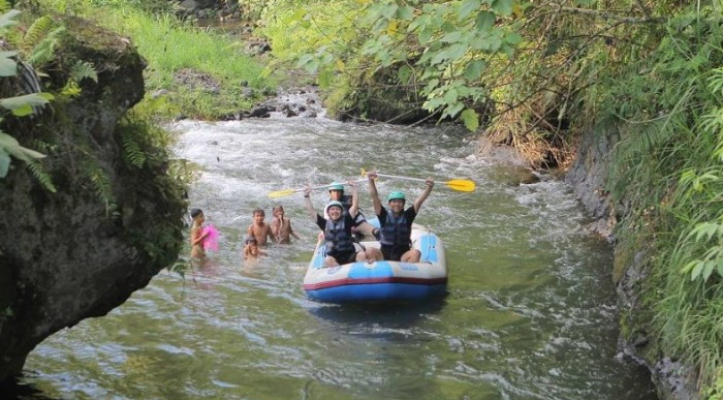 For an Indonesian rafting experience, this is a good one. There is still plastic waste around. I really wish people would stop using one-use plastic water containers, and just plastic in general. It just goes back into the ocean. Don't kid yourself about recycling. Just stop 'throwing away' in the first place. Re cost, it was a very good deal as we were picked up from our hotel and dropped off. BUT, though we thought we had a huge discount, we were unaware that they require tips -- large ones. We paid about 100,000.00-/person in tips to the guide at the end. Fortunately there was a couple from Singapore who knew how much to give as we had no clue. From my experience in bribes in the country, it felt like one of those understood factors that I had just not picked up on. So it is a bit annoying to not have the true price up front, but not surprising. It seems the guides only pay is your tip money? Luckily we had it on us. Overall a fantastic way to spend a day in Bali unless your a surfer. Excellent. I expected faster Rapids but that was my mistake as I took it for granted and fell out of the boat and went down the river on my behind! Facilities were good and so was the food, and everyone was very friendly. Would recommend to anyone in Bali. The pick up was on time & driver was very friendly. Our guide was supper attentive - helpful. 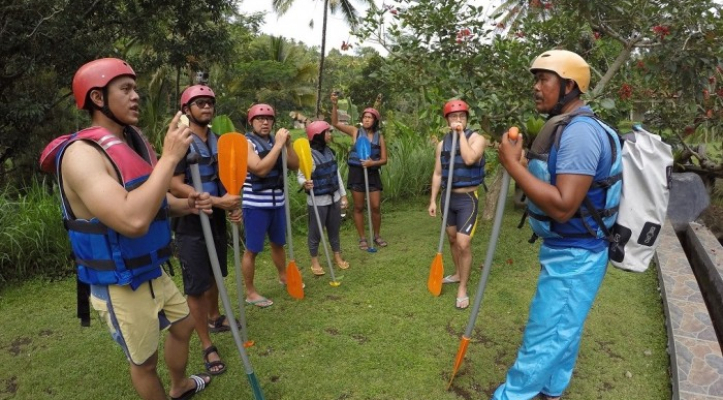 He gave clear instructions & patient with my questions to confirm the instruction before doing rafting. 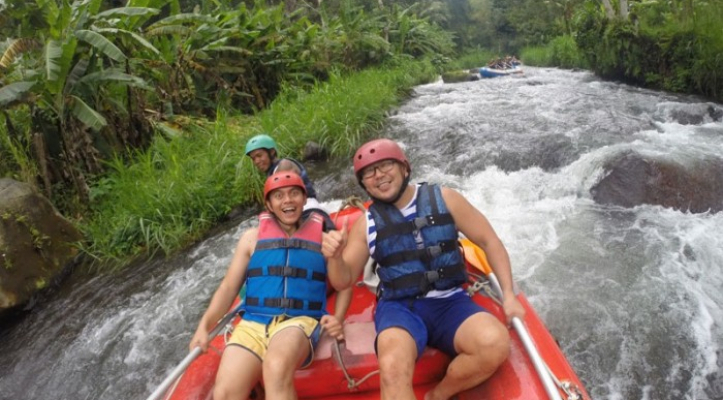 I definitely recommed this operator who would like to enjoy rafting in Ubud ! 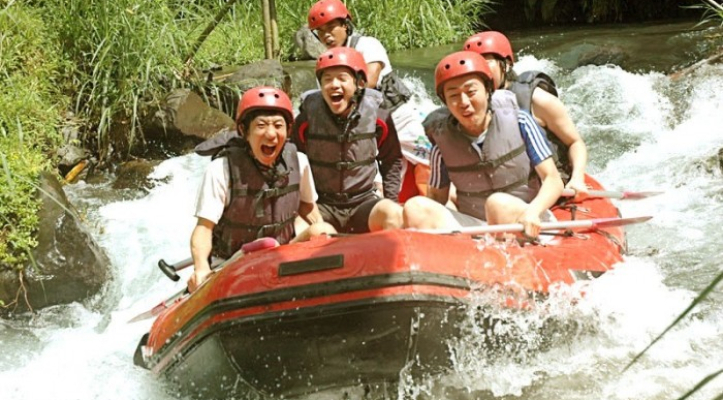 Super nice thing to do when you visit Bali! This company organises a great activity. It started already at home: the response and confirmation came very quick after the questions we asked! 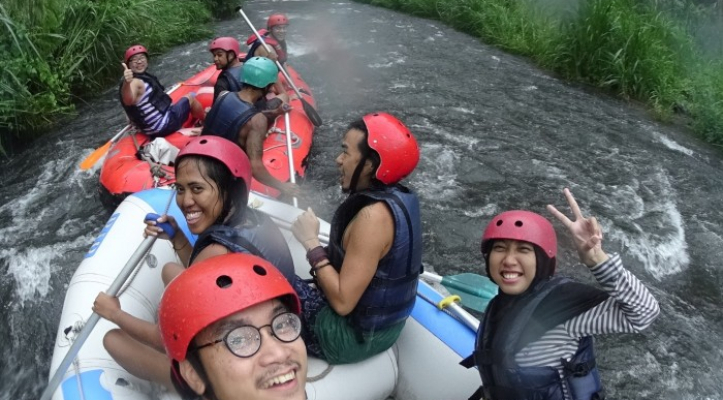 Here in Bali they were earlier than the agreed pick up time, the instructors were very friendly and the Telaga Waja River is wonderful!!! Very good service. Very surprise the drive bring us to the coffee field before rafting. Loving it! Will use the service again.